Publisher: Collective Press/Writer’s Bloq Inc.
Blurb Archangels are extinct and the world is now inhabited by a half-human/half-angel race called Nephilim. But it’s been told that one Archangel remains – a child born of fire only known as The Legend. 21-year-old Nephilim Scarlett Porter is about to start her Angel training at the infamous Blackbell Academy, so she doesn’t have time to worry about dreams of mysterious dark angels. The last thing she expected was her dream angel to be Dyston Blackbell or that finding her was part of his mission – a mission Dyston is prepared to fail to keep Scarlett and the secret of who she is safe. But, danger is closer to Dyston and Scarlett than they realize. 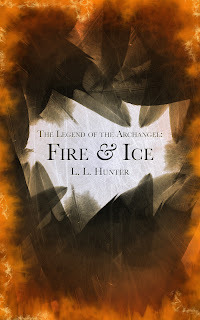 War is brewing, led by a group of Nephilim called The Lucifites, and they need The Legend to carry out their plans. With the help of their friends, the two must find the leader of the Lucifites and stop his plans for destruction. But will Dyston and Scarlett’s love survive what’s coming? How far will Scarlett go to save those she cares about the most? Review I wasn't sure how I wanted to rate this book. Overall, the story was great, it had awesome potential, but I feel like it got cut off too early. Plots were brought up late in the book that didn't get completed. The battle almost started, then quickly ended. I would love to read the second book and the spin-off series. There has to be a second battle, and I want to know what happens next. Author Bio L.L. 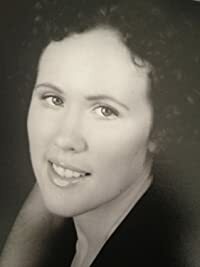 Hunter is an Australian author who began writing when she was fifteen or sixteen, originally song lyrics, but then moved onto fanfiction when she was nineteen, having published over 20 stories online- One of which was nominated for an award. She has also written, directed and starred in two original plays entitled, “No Frills Airlines: Flight 123,” and the sequel, “No frills Airlines: Come Fly with Us.” The latter of which was a musical.